We are please to announce that we have been presented with two prestigious awards at the 2016 ASUC AGM event at The Brewery in London. The awards were for the percentage of turnover placed through the guarantee scheme and for the training undertaken of our staff as recently highlighted in the ASUC training survey. 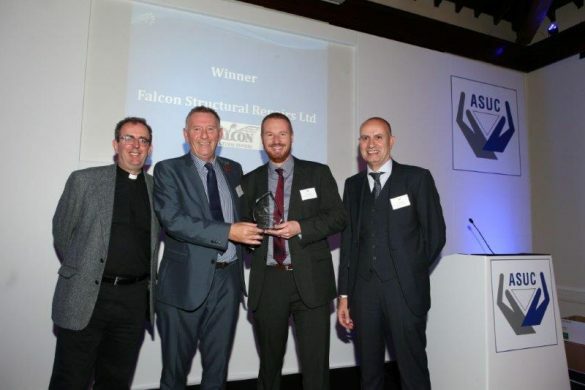 Below is our Managing Director, Ross King is being present with the award by the Revered Richard Coles and Rob Withers of ASUC.